Description: Pardus is a free graphic-based Massive Multiplayer Online Browser Game (MMOBG) playing in a futuristic universe where traders, pirates and other pilots of various races and factions strive to gain wealth and fame in space. Description: WanMei or Perfect World is one of the hottest and most played MMORPGs of this genre. Featuring a full 3-Dimensional environment with excellent environmental effects, graphics and gameplay, it is set to bring online gaming to the next level. Based upon a collection of ancient Chinese mythology, culture and history, the world of WanMei is a blend of fantasy and adventure. Description: The purpose of PhantasyRPG is to provide an interactive fantastical browser based world that can be entered from any computer with internet access. No downloads, no long waits, just a free world to emmerse into and partake in an ever expanding world as well as meet other people from around the world who identify themselves in the same demographics. Description: Pi Story is an action-adventure game in which you travel through instanced dungeons with a party of 8 or less. Outside of dungeons, the player will be located in a town where he/she may find others to party with, buy and sell equipment, as well as do various quests given to him/her by a Non-player character. Description: Like pimping the hos? Must be 18 or older to play! Description: For many eons the Planetarion universe has been rife with war and destruction. Five dominant races fight side by side or kin against kin, galaxy against galaxy, planet against planet in the ever growing struggle for dominance. Alliances clash with one another, and the valuable resource asteroids are stolen and reclaimed. It is your task to join this chaotic system, and survive. Description: PlaneShift is a Role Playing Game immersed into a 3D virtual fantasy world which is FULLY FREE to play. Fully free means you will have no surprises of premium content which will limit your gameplay or unbalance the game. There are no limitations in skills, ranks, abilities, items you can gain with your free account. There are no time limits or additional constraints. Other similar games just advertize the "free" concept to sell you premium accounts. We don't. Servers and bandwidth will be donated by sponsors. Description: FREE multi-player turn-based strategy game. Configure your Battlegroup from hundreds of beautifully illustrated Runes. Runes gain experience, advance levels, and have special abilities that can turn the battle in your favor. We have already launched the base game as well as 2 complete expansion packs bringing our total count to over 400 runes! Description: Priston Tale is a Full-3D MMORPG (Massively Multi-player Online Role-Playing Game) based on the players’ adventures in the continent of Priston. The 3D environment allows detailed character models and actual differences in height, making the whole experience much like watching an animated movie. Description: Project Powder is an online snowboard racing game that pits players around the world in competitive matches on the universe's most dangerous slopes. Taking place in 2146 AD on the distant, snow-covered planet of Delphinus, Project Powder offers you a snowboarder's paradise where you can race against your friends and pull off larger-than-life tricks in the low gravity atmosphere. Description: Project Torque is a Free MMORG or otherwise known as a Massively Multiplayer Online Racing Game. It features cuting edge 3D graphics, multiple game modes, up to 32 players per race, online rankings and more! Description: Purge is a persistent, multiplayer online, FPS/RPG hybrid powered by a highly modified Lithtech Talon technology. 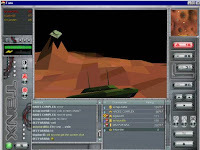 Originally released in 2002, Purge was designed to perform well on the average computer of the day. Any modern PC today should be able to play Purge. Freeform Interactive has now officially made Purge a free game. Description: Yohoho! Puzzle Pirates is an online game in which you play a Pirate character in an ocean world. Hundreds of your fellow player Pirates swarm these Isles and Sea-lanes. For Pirates who love acronyms, Puzzle Pirates is an massively multi-player online roleplaying game, or mmoarrrrpg. Description: Race War Kingdoms offers an intricate kingdom development and war waging system and nearly half a million inhabitable kingdom squares. The entire road feature in-game are based on the actual measurements and props in real life, therefore it gives you virtual reality feeling! 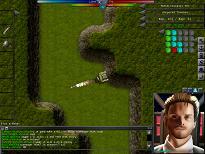 Description: Rakion is an online strategy action game. The game focuses on intense sword on sword battles with RPG style characters and settings, along with the strategic battle plans to provide the ultimate battle experience. Description: The Realms of Loria is a totally free online role-playing game experience. It is Browser based, and no plugin required. It is known as the ONLY RPG of its kind with high quality 2-D graphics. Start out as one of six unique base classes, explore a vast world, fight monsters, help the side of good, evil, or just stay neutral! Level up and gain spells, weapons, armor, powers, and unique abilities! Description: Red Stone is a fascinating game with a very classic feel to it. The game is focused on one thing: fun! It is filled with classic RPG elements, which makes it very accessible to new players. Everything feels familiar, right from the start. Description: RF Online is an epic mix of traditional fantasy MMOG and unique futuristic sci-fi action to bring an entirely new and original take on the existing MMORPG genre. Set in a deep space galaxy known as Novus, take your pick from three all-powerful warring factions leading your character into the final battle for total control over the entire galaxy. Choose from either the Bellato Union, taking control of individual robot battle units like never seen before within any MMOG, Holy Alliance Cora, the mystical and fantasy-orientated race utilizing the power of magic, and finally the mighty Accretia Empire, a futuristic alien race intent on spreading destruction across the entire sector with their advanced weaponry systems. Description: RYL is a well-balanced MMORPG that allows players to create their own character, define its role, do battle with it, and much more in a virtual world. No longer do players have to face monotonous individual tasks but they can now interact with hundreds or thousands of other players from all over the world and undertake the adventure of a lifetime together. Description: Rohan: Blood Feud is a massively multiplayer online role-playing game (MMORPG). The game is a rich and expansive persistent online world, set on the continent of Rohan. The land is full of quests to embark upon, from simple to glorious. Friends and enemies will be made and lost, spectacular battles will be fought, and an abundance of unique game features will keep players on the edge of their gaming seats. Description: A massive 3d multiplayer adventure, with monsters to kill, quests to complete, and treasure to win. Description: The ultimate goal of R.O.S.E Online is to learn more your role as a Visitor, and take an active part in the world of R.O.S.E Online as the main story unfolds. Depending on your discoveries and actions, you may either play an involved role in the main story, or have your own adventures. Description: RPG World Online (RPGWO) is an online, persistent, multi-player(50-100? ), role playing game. It is written entirely in Visual Basic and uses API for graphics and Direct Sound for sound. My motto or driving goal is to create a simulation type world with RPG gameplay, thus: "Where simulation meets gameplay!" It is a dynamic world. Maps can be changed and almost all items and such can be made and/or destroyed. An empty world in which players can build it the way they want! Description: Runes of Magic is a fantasy MMORPG (Massively Multiplayer Online Role-Playing Game) without monthly costs and free to download. Dive into Taborea, a magical world full of wonders and ancient mysteries. Meet mythical and dangerous creatures and solve the puzzle of the long perished kingdoms. Description: Samurai are not born, they are created. Train to hone your body and skill to perfection. Fight to protect your allies and crush your enemies. Honor and live by the tradition and the Bushido. Build an empire and gain the respect of your peers. Do you have the courage, cunning and stamina to answer the call? You Could Become The Samurai of Legend! Description: Savage 2: Tortured Soul builds on the successes of the first title to create new battlefields for multiplayer loving gamers to call home. Return to the fantasy realm of Newerth to continue the epic battle of Savage. As in the original, the game combines traditional RTS play with fast action combat in a multiplayer environment. Savage 2 uses a 20 unit class based system that should create more variety and strategy to who chooses what units in battle, and is more Battlegroup/officer based than ther original for tighter structure and more complex battles. Description: Enjoy the graphics of Seal Online with its fairy-tale like storybook background and humorously rendered monsters! You can choose to be a Knight, Warrior, Mage, or even a class you won't find in any other games, a Jester! When six of us form a party, we can be fearless. No need to fear the monsters that flash red alert signs. Come join the excitement of the Seal Party System. The pleasure you'll have raising various pets! Experience your joy the friendly pets will bring, you'll double your gaming experience with the company of your pet. Description: Second Life is a 3-D virtual world created by its Residents. Since opening to the public in 2003, it has grown explosively and today is inhabited by millions of Residents from around the globe. Description: Seek & Dread Online is a free top-down multiplayer shooter. It is similar to Counter-Strike but it is a 2D-game. You control a terrorist or a police man. You can move your character with the keyboard and aim with the mouse. In the deathmatch mode you have no friends, all that counts is that you survive. 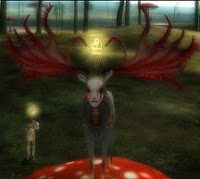 Description: Secret of the Solstice is a free multiplayer online role-playing game set in the beautiful land of Xen. With hundreds of gorgeous environments, fanciful creatures, plenty of quests and a classic feel, Secret of the Solstice invites players to create a character and explore its richly-detailed world. Description: This game will take you away into a mystic world full of adventure and magic.You can go on unbelievable adventures,fight evil enemies and discover amazing magic treasures together with hundreds of players from all around the world. Explore islands, forests and caves full of mystic secrets and ancient magic artifacts. Description: Shadowbane has expanded the concept of what an online persistent world RPG can be. Rather than focusing on the story arc of the single character and taking the game no further, Shadowbane extends the experience by creating a backdrop of political intrigue and warfare for players to become engrossed in. Players can join together to form guilds, raise armies and conquer Kingdoms. Leaders marshal their strength to build keeps, temples and fortifications. Armies battle their rivals to control resource mines crucial to their kingdoms' growth. And when diplomacy fails, legions and siege engines batter down the walls of cities, and the destinies of player nations are decided on virtual battlefields. Description: Engage opponents in frenzied tactical struggles. Unite with allies to contest enemy nations' territorial claims. Customize your units with equipment best suited for your objectives. Achieve promotions for yourself and new upgrades for your war machines. Research new technologies to devastate the opposition. Enter the world of Shattered Galaxy, where battles last minutes and wars span months. Description: It is based on the theme of war between the two nations (Yin and Zhou). Sho Online” brings fast game play as well as realistic war environments to each and every player of the game. Monsters with artificial intelligence, endless war between the two nations to expand their territories are the main points of this game. Description: A RPG sports simulation golf game. Description: a massive multiplayer online role playing game where you defend your honor in combat with players from around the world. Sherwood features an infinitely deep dungeon filled with monsters. Description: The online game 'SilkRoad' targets the unceasingly active world other than the existing online games which the has built the entrenched world. On the specious Silk Road, the merchants constantly moves for trading and burglars who intend to strip them of goods. In addition, there are hunters who specialize in removing such burglars. On the Silk Road which seems to be static, the hostility and secret strife in which various groups continuously engage for the benefit of their own groups inform the Silk Road world with new life. Description: Start playing and defend your own virtual-pc against intruders whilst you are trying to hack as much other players and webservers as you can ! Description: Soldat is a unique side-view multiplayer action game. It takes the best from games like Liero, Worms, Quake and Counter-Strike and gives you fast action gameplay with tons of blood and flesh. Soldiers fight against each other on 2D battle arenas using a deadly military arsenal. This is what multiplayer was invented for. Description: Space Cowboy Online is an action based Massive Multiplayer Online (MMO) 3D Space Shooter. In Space Cowboy Online, players can pilot their own space fighter ships (Gears) on an imaginary planet and upgrade skills or the Gear itself. Description: SpiritWars represents a new generation in the long rich tradition of board gaming. While the game was designed to offer a new experience in on-line entertainment, the roots of SpiritWars lie not in the computer world but instead in the traditional genre of table-top board games. If you've ever enjoyed classic strategy games like Chess, Risk® or Stratego®, you will find a variety of design concepts in SpiritWars that are comfortably familiar and will will help you quickly learn the game. Description: BUILD and manage your empire in this captivating and addictive ONLINE space strategy game. Compete against human opponents and AI-CONTROLLED aliens! Description: Will you finally become a renowned hero? Ascend to join the ranks of the gods and goddesses themselves? Or will you die trying? Only you will know. Only you can walk the path of your ultimate fate.Do yourself a favour. Answer to your true calling. Seek your Supreme Destiny. Description:The Survival project (Surp) is an online action network game that you can do a real-time match against other users connecting online. Survival Project offers 8 modes that provide different missions by each, and it offers 8 maps provide distinct environmental condition. Description: Syrnia is a free online browserbased / textbased Role Playing Game (RPG), with many skills, items, nice people, and loads of active players ! Description: Enter a world of fantasy and legends. Tactics Arena Online calls upon your skill and valour to rally a heroic force and destroy the enemy in battle. Wage strategic warfare with a team of specialized warriors and mystical creatures at your command. Design a custom army from a wide range of fighters or mages, and unleash the fury of beasts and mighty golems to dominate the battle arena. Description: This game is in German. Tagoria ist ein kostenloses, browserbasiertes Fantasy-Rollenspiel. Betritt die Welt der furchtlosen Krieger! Kämpfe gegen gefährliche Monster und nimm Teil an den Schlachten zu Ehren der Götter! Zeige allen, dass ein Kämpferherz in deiner Brust schlägt! Description: Based on 5000 years of background history with Piracy as its central theme, Tales of Pirates lets players have a fruitful navigating experience as well as exploration of the unknown. This fully 3D designed multiplayer online game is comical in nature and has humorous looking characters and creatures. The game is painted in bright and beautiful colors. Description: Tanx, our premier online 3d shooting game where you fight in an intense tank battle to the death. Our game is sure to test your skills in marksmanship, strategy, and even teamwork, since you can fight with up to 6 other players. In addition, you get four weapons from which to carry out your destruction upon other players, including missiles, nukes, grenades, and mines. Description: game is based on fully 3d mmorpg that has unique and various concepts as compared to other mmorpg games. Description: Tibia is medieval fantasy online game full of exciting adventures, mighty magic, and great battles. On your journey you will meet thousands of players from all over the world. Description: The Fourth Coming is one of those unique games in which the ambiance immediately hooks you. The addictive music, the beautiful graphics, and of course the deep story line help pump in a vast player community that is still growing. Description: The Mana World (TMW) is a serious effort to create an innovative free and open source MMORPG. TMW uses 2D graphics and aims to create a large and diverse interactive world. It is licensed under the GPL, making sure this game can't ever run away from you. Description: It is pure Science Fiction. At the start you will be cloned as a pilot and automatically join the guild Freelancer. A guild is a group of players who help each other in the game. As a new pilot your starting cash is very little. You will receive the first plans but you will have to earn the other plans for different ship classes. 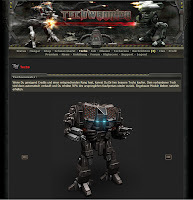 Description: The Universal is a free massively multiplayer online game. You can explore, trade and fight in an entire galaxy and visit worlds that are owned, run and populated by other players. Each world has different themes and gameplay styles, from persistent economies to arcade-style shoot-em-ups. Description: There is an online getaway where you can hang out with your friends and meet new ones--all in a lush 3D environment that's yours to explore! Check out the pictures below for just a glimpse of what you'll find in There. Then sign up for a free trial and see it all for yourself! Description: Travian is a browser game with a world full of thousands of users who all begin as the leaders of small villages. Description: Welcome to SSCU Trench Wars, an exciting team-based game platform. Trench Wars has become one of the most versatile well known zones in all of Continuum. Primarily created as a team-based flagging game, Trench Wars has evolved into a multi-faceted zone offering over 150 Flagging, Racing, Capture the Flag, Deathmatch, and other specialty sub-arenas. Description: Tribal Wars is a browser-based game set in the Middle Ages. Every player controls a small village, striving for power and glory. Description: Trickster Online is MMORPG based on story of group of adventurers from around the world vying to become the greatest adventurer of all time, Trickster. Trickster Online Revolution is in English and can be played by anyone that registered for a free account. Through a stunning game within a game, see who will emerge as the greatest Trickster in a virtual stage. Description: Let us travel through the portal of time and go back 2000 years to the era of Three Kingdom in China. Witness the rise of the mightiest warriors, be mesmerized by the wisdom of the most intelligent strategists and start your journey with them in the troubled land of Chaos to save the world! Description: Twelve Sky is an oriental style, martial arts based Massively Multi-player Online Role Playing Game (MMORPG). Located in ancient China, Twelve Sky puts players in the middle of an age old conflict between three warring factions. Choose your side in a quest for honor and power. Wage a never ending battle to obtain ancient holy relics that will help destroy all that oppose you.